Kit for 11 m2 (118 sq.ft.) of projection screen. 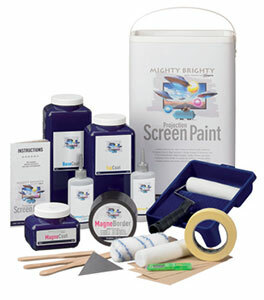 The MPW 30 kit includes BaseCoat with ContrastBooster, TopCoat with BrightnessBooster and MagneCoat with MagneBorder. All the required tools are included as well.